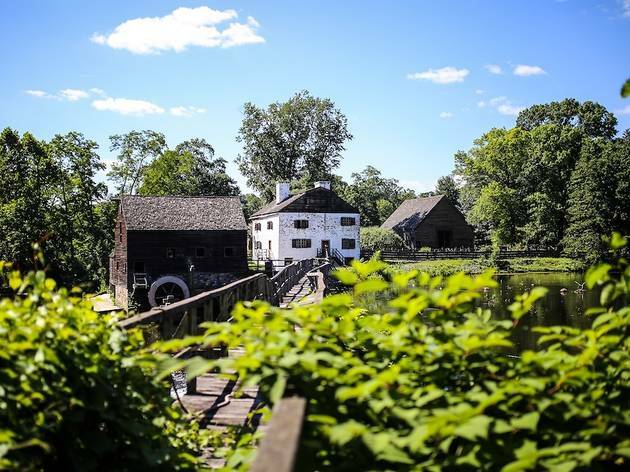 Embark on these day trips from NYC in the fall. 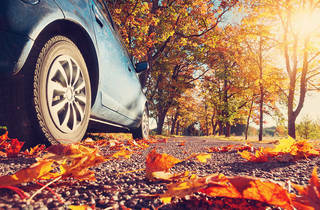 They make the perfect weekend escape for all-things autumn. Don't let your brood sit and sulk over summer's demise. Autumn (especially Halloween) are reasons to celebrate. 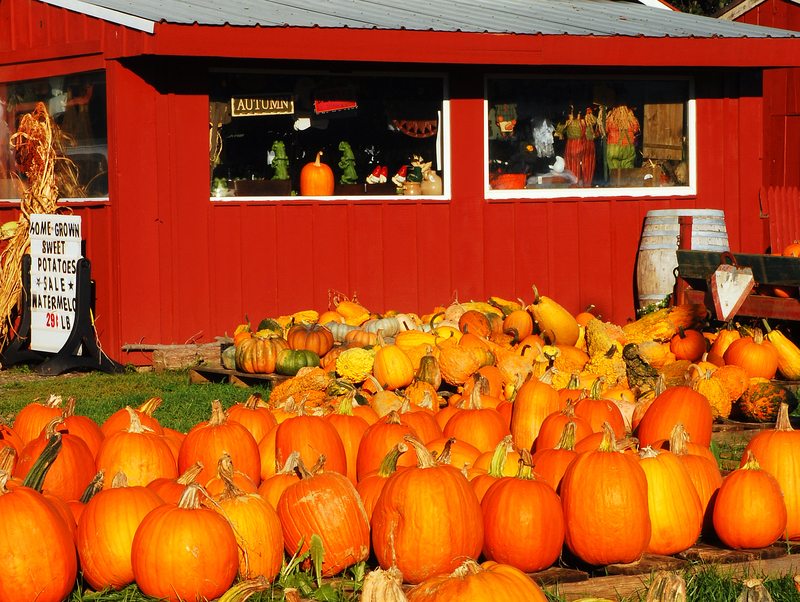 Make the most of the season with these fall day trips from NYC, where you'll be treated to gorgeous views, pumpkin patches and even some scary festivities (if you so choose). 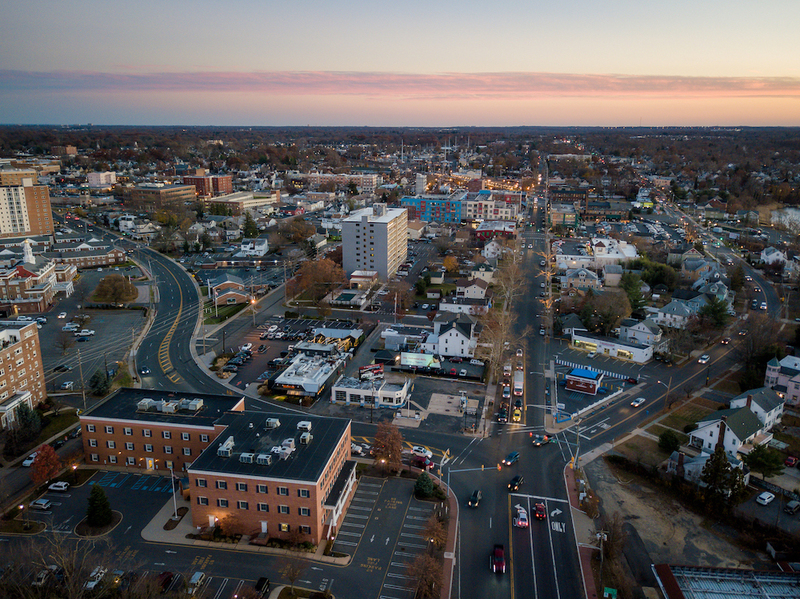 From Sleepy Hollow, NY to Cape May NJ, these locales provide plenty of entertainment that will make the whole crew crave a warm sweater and apple-flavored treat. The good news is that they feel like they're lightyears away, but they're close enough to do in a weekend. 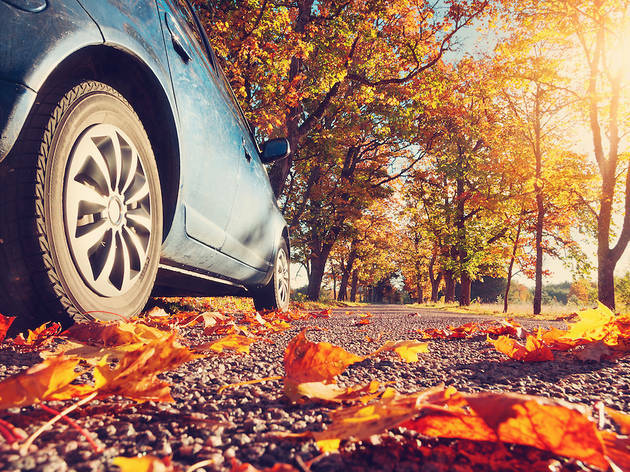 If you are still in search of things to do in fall, we'll guide your toward the best apple picking near NYC, the most epic pumpkin patches where you'll find your annual jack-o-lantern and the most gorgeous scenic drives for fall. Washington Irving's old stomping grounds make for the perfect fall escape—especially as Halloween approaches. 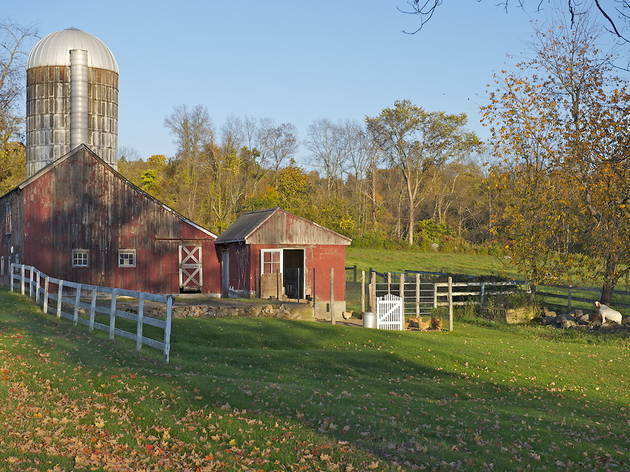 The bucolic scenes are delightful when the leaves start to change, but you'll really want to make a visit once the town's spooky festivities get underway (expect haunted hayrides, lantern tours and so on). 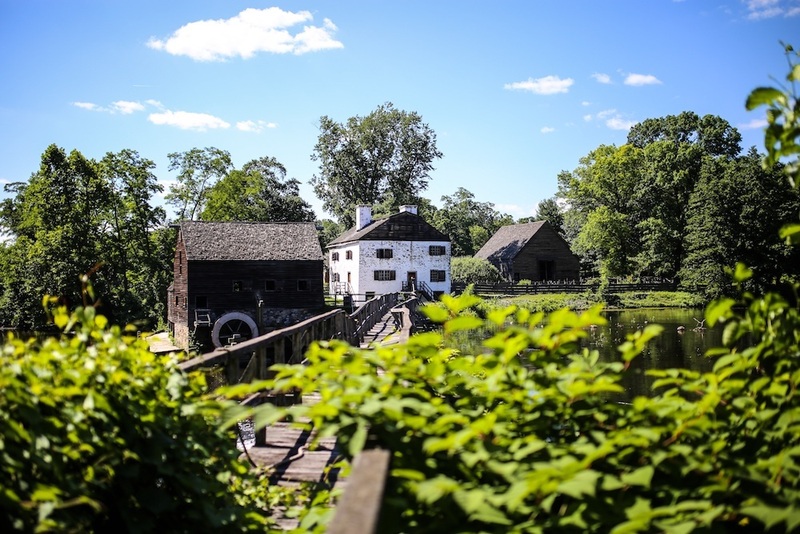 Try not to lose your head while exploring Sunnyside, the landmarked home of the famed writer, and refuel from the creepy excitement at Bridge View Tavern, where you'll find a kids' menu for the pickiest members of the clan. Most travelers head out east when they're in need of a beach day, but don't cross the North Fork of Long Island off your list come autumn. 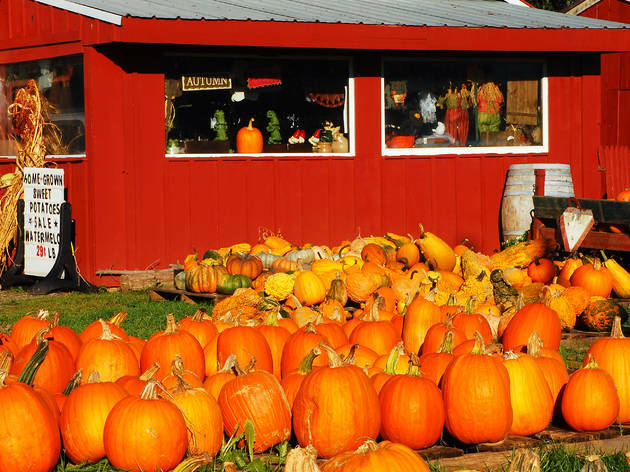 Harbes Family Farm offers plenty of PYO fun and fall activities such as corn mazes, pumpkin patches and more seasonal goodness, plus the ample amounts of farm stands will offer the perfect veggies you need for cooking this fall. Kiddies will always be down for a ride in the quaint Antique Carousel in Greenport (which just so happens to have adorable small shops and restaurants). Finish up the day with dinner at Love Lane Kitchen in Mattituck (conveniently located across from the town's candy store, Love Lane Sweet Shoppe. If hues of red and gold are what you're craving, pack a sweater and hike along the gorgeous grounds of Macedonia Brook State Park, where you can take in scenery of the Catskills and Taconics. Bring a pinic basket for al fresco dining if you'd rather enjoy the environment in a low-key manner. All ages will delight in a visit to The Covered Wagon Country Store, where patrons can pick up homegoods, knick knacks and delicious sweets. Stop in for a bite at Fife 'n Drum, which offers American fare, but don't make your way back to NYC without a quick pitstop for treats at Kent Coffee & Chocolate Company. 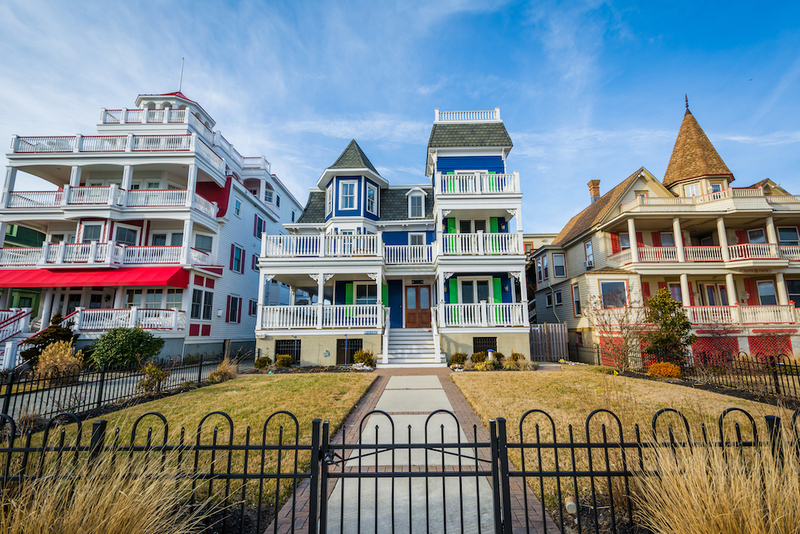 Though the Jersey beach spot is a go-to during the summer months, you'll want to make a visit come fall—especially if you're in search of something creepy, kooky and spooky. 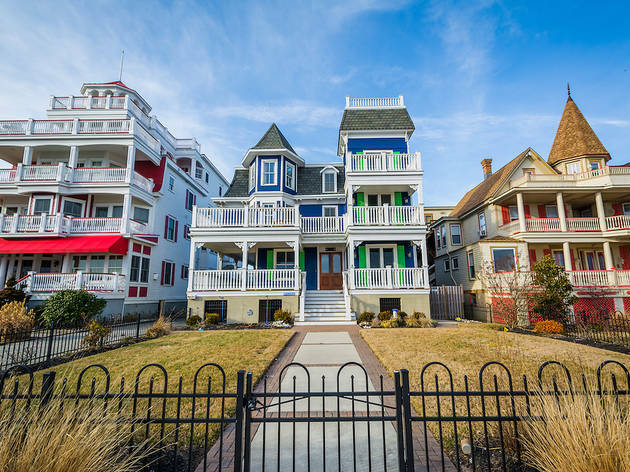 Take advantage of ghost tours in the nabe's historic attractions (you didn't think the lighthouse was free from paranormal activity, did you? ), enjoy a bite to eat and McGlade's on the Pier and peruse the independtly-operated small shops in the heart of the town. New York's neighbor state is also home to loveable waterfront parks. Take a trip to admire the autumn scenes at Marine Park—which hosts fun seasonal events for everyone in your brood—or suit up and lace up for a round or two around the rink at Red Bank Armory Ice Complex. Before making your way back to NYC, enjoy the nostalgia of old-school games at YESTERcades (a hit for everyone in the group) and refuel at Local Smoke BBQ or Birravino for fresh pies. The summer crowds have thinned, leaving the Hamptons a delightfully relaxing destination. 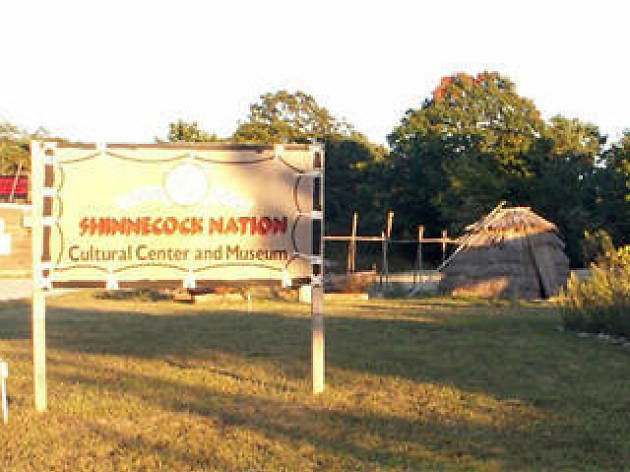 At the Shinnecock Nation Cultural Center and Museum, an unassuming log cabin holds paintings, wood carvings, tools and jewelry that collectively tell the story of Native Americans’ presence on Long Island since the end of the last ice age. The South Fork Natural History Museum and Nature Center immerses kids in each exhibit by engaging all five senses. Kids smell foxes, touch marine animals and look through telescopes as they explore. The nature trail behind the museum connects to the nine-mile Long Pond Greenbelt—little ones will have a ball crunching fall leaves. Grab dinner at World Pie, which will be a hit with the kiddos. Prepare your crew for an active day in the Shawangunk Mountain Range (or “the Gunks,” as locals call the jagged cliffs that frame the area). Enter Minnewaska State Park Preserve and park in the Awosting Parking Area for a short (less than 1/2 mile round-trip) but steep hike to Awosting Falls. 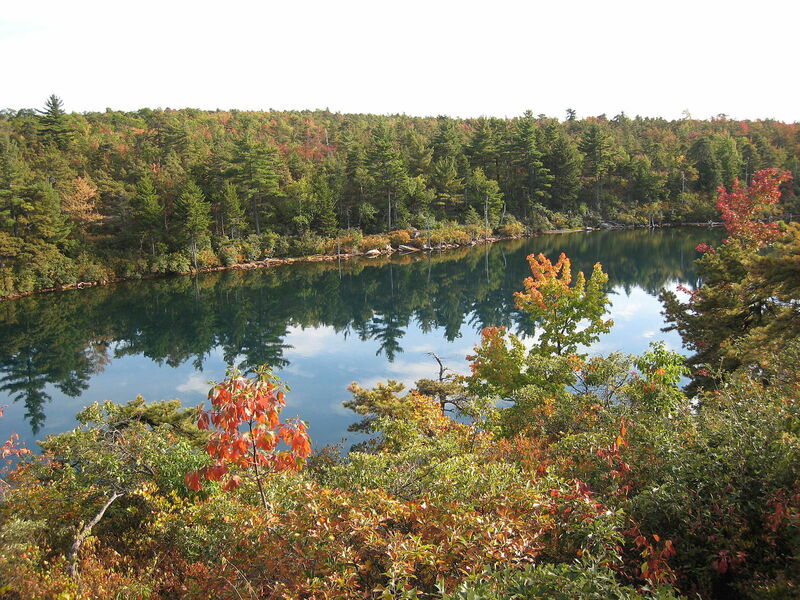 Then move the car to the main parking lot, where a two-mile trail encircles the turquoise Lake Minnewaska (which gets its rare hue from mineral deposits). Picturesque views, colorful foliage and wooden gazebos dot the circumference. A history lesson can be found on Huguenot Street; kids can view rotating exhibits at the DuBois Fort Visitor Center and tour restored homes and a church circa early 1700s. Since New Paltz is a college town, you’ll find bar food and beer aplenty. We recommend the Gilded Otter, a brew pub with a vast menu that includes hearty fare like meatloaf, three meat chili and buffalo wings. Our nation’s history, Gothic architecture and stunning foliage await at the prestigious United States Military Academy (all visitors over 16 must present ID). Begin at the Visitors Center where you can buy tickets for the one-hour bus tour. The first stop is the massive granite Cadet Chapel, home of the world’s largest pipe organ as well as astounding stained glass windows. Trophy Point is another highlight, with its breathtaking vista overlooking the Hudson River. Post-tour, peruse the gift shop, which has an ample selection of kiddie-sized Army gear, from hooded sweatshirts to plush mascots and make a stop at the free West Point Museum, where weapons aficionados of all ages will gawk at the collection of swords, rifles and tanks from every time period. After leaving the grounds, head to the Ice Cream Shoppe in Highland Falls (419 Main St; 845-446-2380) for cones or milkshakes. Fall flavors include pumpkin and southern apple pie. Enjoy beautiful views of fall foliage along the Delaware River from the comfort of a historic steam train. The company boasts a list of family-friendly tours that all ages will enjoy, including seasonal offerings. Dinosaur-obsessed kiddos will get a kick out of the Dino Days Train tour where they’ll learn about the prehistoric giants from field paleontologists, view real fossils, and participate in fun activities like an obstacle course bounce house and meet and greets with Davey the Dinosaur. Traverse 500 grassy acres of large-scale sculptures at this modern art mecca located in the foothills of the Hudson Valley. Kids will love walking beneath and through the towering tall steel beams and stone columns, truly becoming part of each piece. 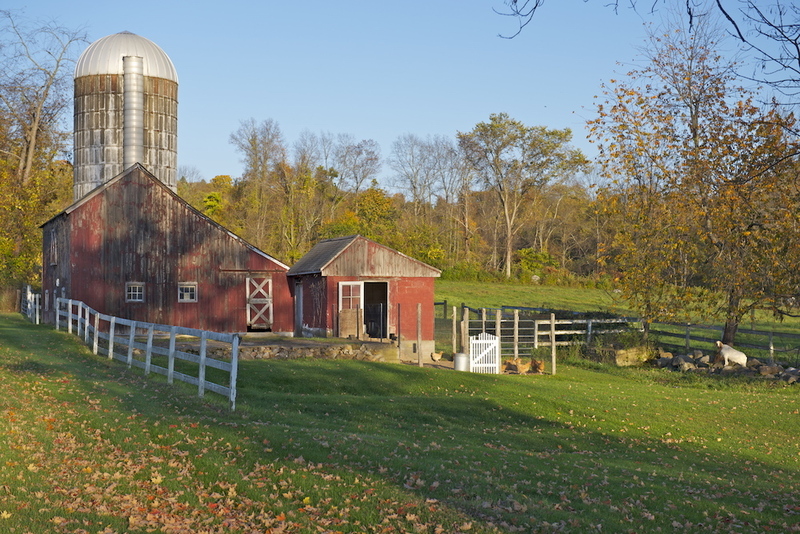 Museum Hill has a stone indoor museum and restrooms—start there and then head to the South Fields, where your crew will encounter mountain vistas and unique pieces like Wavefield (where the grass itself is the art medium) and Storm King Wall (an expansive, winding stone fence). On Saturdays, special craft activities (think nature-inspired artwork and drawing with remote controlled cars) are offered. (Note: The installations are spread wide apart, so expect lots of walking. A tram does run around the grounds every 20 minutes.) For lunch, stop by the The Storm King Café, which uses locally grown ingredients in its salads, soups and sandwiches.